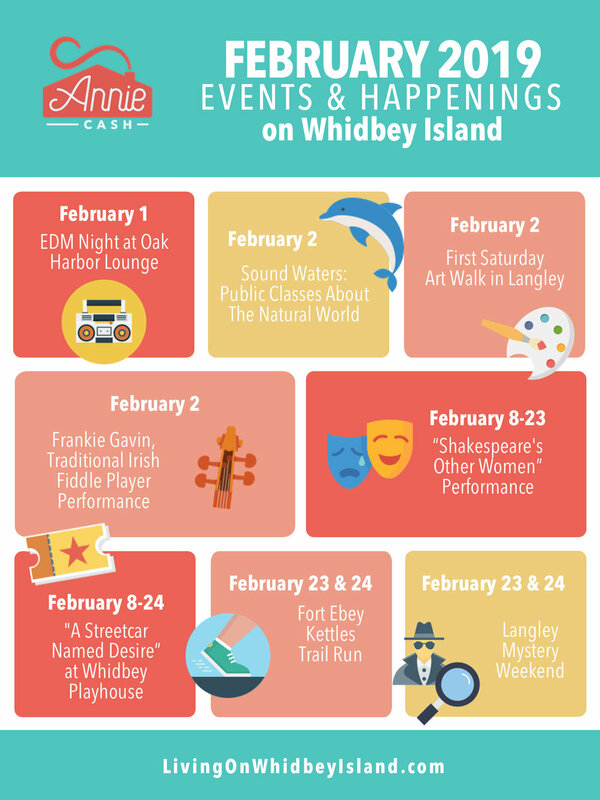 The calendar of events on Whidbey Island this month features something fun and entertaining for a wide variety of interests! Want to expand your theater horizons, or spend the month getting in shape for the run at Fort Ebey? You’ll find fun options for get active, appreciating the arts, and fun ways to get out and participate in the community this February. Follow the links below the graphic for more details on each event. Hope your 2019 is off to a great start!